As the centerpiece for gathering friends and family for weeknight dinners and special occasions, the dining room is a space in your home that commands drama and attention. This space also calls for unique materials and décor to set it apart from the rest of the house and still have it complement your other rooms. Dining room floor tiles are an excellent way to add lasting style that is neither boring nor too trendy. 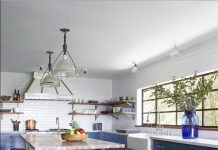 Modern cement tiles offer an aesthetic that is both classic and innovative that allows you to customize them however you like; tailor colors, size, shape and pattern to meet your design needs. Add instant style and perceived value to your dining room with the modern cement tiles from Granada Tile. Here’s how. 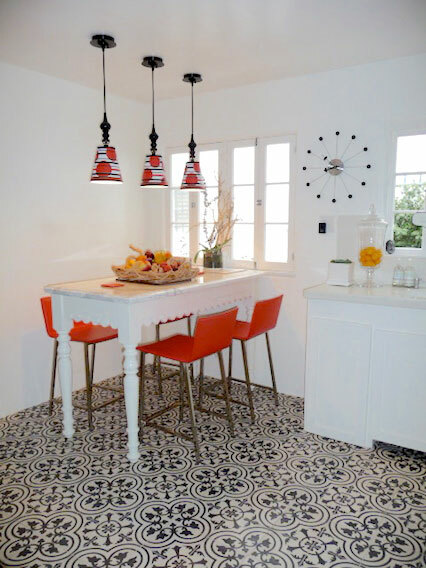 Why Are Modern Cement Tiles Perfect for the Dining Room Floor? When choosing the flooring materials for your home, it’s important to look for durability and practicality in addition to style. If something won’t hold up to regular foot traffic and food messes, it’s not a good choice for the dining room. 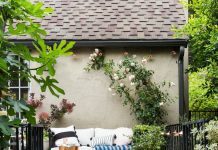 One of the greatest reasons why we love cement tile is that they combine all these important qualities and offer a space both luxury and utility. Dining room floor tiles are great insulators, meaning they will leave your and your guests’ feet cool in the summer and comfortable in the winter. They’re also a hardwearing flooring option and withstand stains, scratches and fading over time, unlike a lot of hardwood and ceramic tile floors. No more covering up your flooring with a rug. Your modern cement tiles will remain looking as beautiful as they did the day you had them installed for years to come. If there’s a room in your home where you want to wow, let it be the dining room. With modern tile, you can turn your dining room into a one-of-a-kind space that speaks to the type of events you want to host there. Do you want to keep things neutral with a classic pattern in serene tones? Are you looking to add energy to this space with bright colors and a lively pattern? Mix this pattern with those colors for a design that is all your own. “Modern” often means clean lines and bold, neutral colors, and while it certainly can, the modern tile you’ll find at Granada come in many ranges of colors, tones and patterns. You’ll find sleek, bold lines and intricate traditional patterns inspired by old-world designs. You can create the perfect backdrop for elegant dinner parties and casual get-togethers with cement dining room floor tiles. Cocktail spills, food messes, lively young guests and dressy heels won’t be any match for the durability of cement floor tile. Modern cement tiles are also very versatile, not only made for floors. Whether you decide to tile your dining room floor, walls or both, you won’t have to worry about cracks, warping, lifting or fading. We love that cement tile is made with eco-friendly materials and through a sustainable manufacturing process. Only cement, sand, powdered marble and pigments are used to hand make cement tiles. The combination of materials used and the fact that the tiles are pressed and then air cured (instead of fired in a kiln) add to their environmental friendliness. The dining room floor is our favorite way to showcase tile. 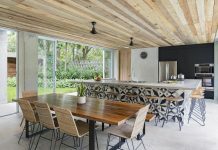 Because specialty tile often aren’t used in an entire home, the dining room is the perfect place to create some separation and add that wow factor by way of integrating modern cement tiles. A surefire way to make the centerpiece of the dining room stand out is to create a border around the table with two or more styles of cement tile. The rest of the flooring can be a simpler tile design or a hardwood. If the walls in your dining room are neutral, use a colorful cement tile in a fun pattern to add visual interest. Even if your walls aren’t neutral, choose a patterned tile that complements your wall color and creates a unique work of art on your floor. Unless your home’s main color is brown, black and white can work in just about any space. The classic pair will never go out of style or look outdated. You can add drama with a bold black and white tile or add sophistication with an intricate Moorish style tile. Either way, your dining room floors will be the focal point of the room. Your dining room floor tiles are only limited by your imagination. Pick and choose the color that you love most. Select your favorite pattern from our collections, or work with our designers to create your own custom design. If you’re looking for ideas and inspiration, check out our dining room page and compare some of our collections. 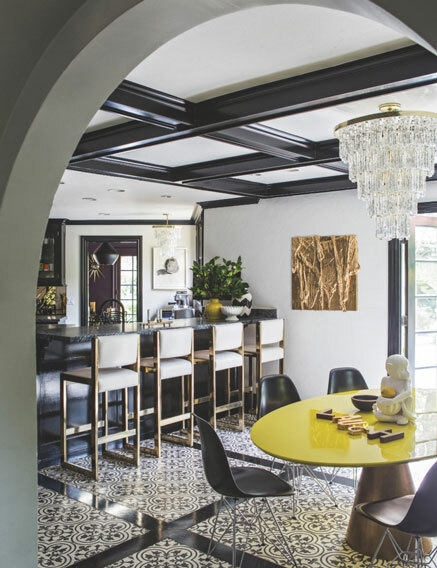 You’ll find a wide array of colors, shapes and patterns of modern cement tiles to help you create your dream dining room space. Granada Tile will work with you to help you create the perfect tile design for your dining room. With our expertise and extensive experience traveling around the world for new and ancient designs, we will weave together your ideas and consider your space to guide you through the entire process. Get in touch with our team of experts today to begin designing your dining room floor tiles! Previous articleWhat Color Tile Works Best for Your Space?